Diane Abbett is President of California Healthcare Insurance Company, Inc., RRG (CHI), a healthcare entity owned company formed in 1988 with the mission to provide the highest quality services and products to manage medical professional and general liability risk. Ms. Abbett is also President and Chief Executive Officer of Optima Healthcare Insurance Services, a wholly-owned subsidiary of CHI, formed in 1997 as an insurance brokerage and service company. 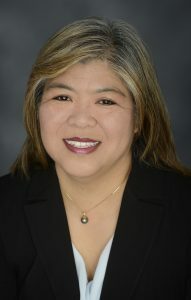 Ms. Abbett currently serves as a member of the Board of Directors of Californians Allied for Patient Protection (CAPP) and holds a current Certified Public Accountant (CPA) license in the state of California as well as a Bachelor of Science in Accounting from California State University Sacramento. 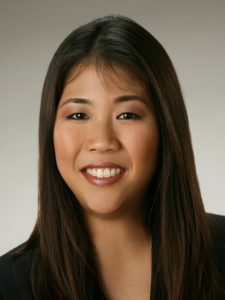 Jamie Asato is an Assurance Managing Director at Accuity LLP. She specializes in serving insurance and retail clients and oversees Accuity’s captive insurance practice. Jamie has over 15 years of experience auditing captive insurance companies. She received her BABA from Seattle University and is a CPA licensed in Hawaii. Jamie has served a HCIC’s past Secretary and Assistant Treasurer. 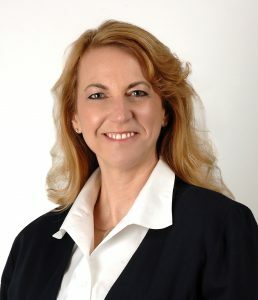 Cindy Belcher is chief operating officer of the Cooperative of American Physicians, Inc. (CAP), a physician owned and governed organization known for its medical professional liability protection and unparalleled practice resources for California’s finest physicians. She is also chief operating officer and president of the Cooperative of American Physicians Insurance Company, Inc. (CAPIC). Ms. Belcher is a graduate of Oregon State University, Corvallis, where she earned Bachelor of Science degrees in both Science Education and Microbiology. She is also a licensed California property and casualty insurance broker. Among her philanthropic endeavors, Ms. Belcher is a Board Director for City of Hope’s National Insurance Industry Council, which honored her in 2008 with its William R. Story Award for Leadership and Professionalism. David Beyer is with Alaska Air Group, Inc./ASA Assurance. Edward Haik is a Vice President and Senior Portfolio Manager with Bank of Hawaii since 1995. He is most focused on managing investment grade taxable bond portfolios. Prior experience includes positions at Garban Tokyo, Ltd., Cantor Fitzgerald Securities, and Merrill Lynch. Ed has been active with various aspects of the HCIC over the years serving on a number of committees: forum, membership, marketing and legislative. Mr. Haik received his Bachelor of Arts from the College of the Holy Cross, Worcester, Massachusetts. Dave Kahaulelio has served as President of Queen’s captive insurance company since August 2000 and as Vice President Risk Management of The Queen’s Health Systems since November 2000. He directs Queen’s Health Systems activities which affect risks of loss, manages underwriting, insurance and reinsurance acquisition and pricing, administers risk finance and transfer programs including workers compensation and captive insurance programs including all claims management activities. Mr. Kahaulelio joined Queen’s in November 1997 as Manager of Employee Safety and Workers Compensation. He has over 35 years of experience in insurance claims and sales, having held management positions at regional and national insurance companies. He attended the University of Hawaii. He is President and Director of the Hawaii Chapter of Risk and Insurance Management Society, Inc. (RIMS) and is a member of the American Society of Healthcare Risk Management (ASHRM). Mr. Kahaulelio has been active with Hawaii Captive Insurance Council (HCIC) and served previously as its past Chairman of the Board. Christina Kamaka joined Aon in 2003 and currently leads the Captive Insurance team in Hawaii. Prior to joining Aon, she was an audit manager at Ernst & Young LLP. Christina has served as HCIC’s past Vice President, Treasurer, Assistant Treasurer and is currently Director and Assistant Secretary. Denys Kazama is Associate Director/Senior Account Executive at Willis Towers Watson Management (Hawaii) and heads the captive management operations in Hawaii. Denys has over 15 years of captive management experience as well as audit and tax experience in public accounting and as a CFO of non-profit organizations. Denys has a CPA license from the State of Hawaii and earned her Bachelor of Business Administration in Accounting from the University of Hawaii at Manoa. Jill Miura is with KMH LLP. Ryan Nobriga is responsible for the financial and risk management functions for Hawaiian Dredging Construction Company. In this capacity, he oversees HDCC’s revenues averaging $520 million and total assets in excess of $300 million. Ryan has over 16 years of experience in the financial arena and has served in many leadership roles in the community. Fay Okamoto is with Artex Risk Solutions. Scot Sterenberg is with Marsh Management Services Inc.
Denise Straka, Vice President of Insurance, is responsible for leading and managing all aspects of Calpine Corporation and its subsidiaries’ insurance programs. Ms. Straka has been with Calpine Corporation since 1990. Her team is responsible for placement of property, casualty, and management liability coverage and associated claims as well as surety bond placement. 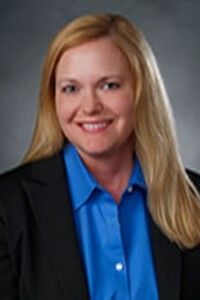 In addition, she manages Calpine’s captive subsidiary, CPN Insurance Corporation, which provides primary property and casualty insurance coverage for Calpine and currently serves as both a Director and Officer of the captive. Ms. Straka plays a vital role in developing and maintaining relationships with insurers, brokers, claims administrators, and a number of third party service providers. She graduated, with honors, from the University of San Francisco with a Bachelor of Science degree in applied economics. Ms. Straka has been a recipient of the YWCA’s Tribute to Women in Industry Award which recognizes women who excel in executive positions and the companies who employ them. 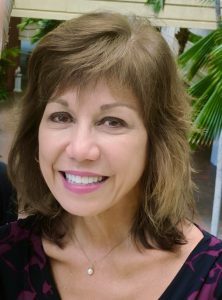 Ms. Straka currently serves as a Director & Secretary for the Hawaii Captive Insurance Council as well as being a member of Energy Insurance Mutual’s Insurance Advisory Committee. She has been a director for the Silicon Valley Chapter of the Risk and Insurance Management Society, served on various Risk Manager’s Advisory Panels for insurers, and holds a property and casualty brokerage license in the State of California. Jerelyn Sullivan is with First Hawaiian Bank. Jerelyn has over 30 years of experience in the financial services industry. She is an investment officer in the Institutional Advisory Services Division of First Hawaiian Bank and is responsible for institutional client servicing and focuses on captive insurance customers. Jerelyn has served on the Board of Directors of the Hawaii Captive Insurance Council (HCIC) in various capacities since 2010 and currently serves as a Director for HCIC. She holds a Masters of Business Administration from Chaminade University and a Bachelor of Arts from the University of Hawaii at Manoa. Matt Takamine is the head of Beecher Carlson’s Hawaii office and Executive Managing Director and Captive Operations Leader for Beecher Carlson’s national captive practice. Matt has over 18 years of experience working with captive insurance companies. Before joining Beecher Carlson, Matt spent nine years in public accounting with KPMG LLP, most recently as a senior audit manager. Matt is highly involved with the Hawaii Captive Insurance Council (HCIC), the trade association of captive owners and service providers who comprise and support Hawaii’s captive insurance industry. He currently serves as the president of the HCIC’s board of directors and also as its government relations liaison. In his roles with the HCIC, Matt is heavily involved with the development of Hawaii’s captive policy, domicile direction, legislation and strategic planning. Matt also sits on the board of directors of the International Center for Captive Insurance Education (ICCIE), based in Burlington, Vermont. The ICCIE is the professional education program of the captive insurance industry. Matt graduated with distinction from the University of Hawaii with a Bachelor of Business Administration degree in Accounting. He is licensed to practice as a certified public accountant in the state of Hawaii and is a member in good standing of the Hawaii Society of CPAs and the American Institute of Certified Public Accountants. He is also a Chartered Global Management Accountant.